First Listen: Death Cab For Cutie, 'Transatlanticism (10th Anniversary Edition)' For all its ubiquity and imitators, 2003's Transatlanticism holds up as an exquisitely produced, largely flawless record in which every song is bound to be someone's favorite. In this reissue, the album is packaged alongside an identically sequenced yet revelatory set of demo versions. 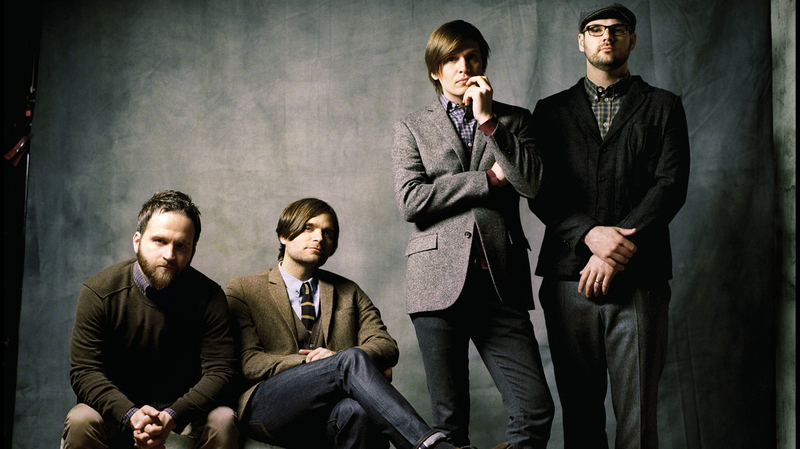 Death Cab for Cutie's Transatlanticism (10th Anniversary Edition) comes out Oct. 29. Life hands us many milestones as we wend our way from cradle to grave. From first teeth to first kisses to first loves and losses, we mark off our crucial firsts as transformative events; we're no longer babies, or children, or teenagers, or dependent on others to get by. One of those milestones, for those of us who so often set our lives to music, is the first time we get to mutter, "That came out 10 years ago? God, I am so old." Death Cab for Cutie's Transatlanticism played in the background of countless decade-old milestones around the world, especially the ones involving first kisses and so forth, and it's no wonder. The album, and its epic title song in particular, played on an endless loop across popular culture — on movie soundtracks and in dramatic moments from such TV shows as Six Feet Under. The way singer Ben Gibbard channeled youthful confusion, vulnerability and sweetness mirrored universal fumbling feelings of growing up and facing down the complexities of love, heartbreak, long-distance yearning and budding nostalgia. From the first line of its first song ("So this is the new year / and I don't feel any different"), Transatlanticism swims in uncertainty, as if its narrator isn't even quite sure how feelings work yet. For all its ubiquity and imitators, Transatlanticism holds up as an exquisitely produced, largely flawless record in which every song is bound to serve as someone's favorite. As such, though new would-be fans are born every day, most of its target audience already owns the thing, right? Enter this reissue, out Oct. 29, in which the original album is packaged alongside an identically sequenced but otherwise revelatory set of demo versions. For those who've immersed themselves in Transatlanticism's studio version over the course of the last 10 years, these demos form fascinating sketches of a great album in progress. Some, like "The New Year" and "We Looked Like Giants," are overwhelmed by a ticky-tack drum machine. The title song, which in its final form blooms into a wondrous slow-motion cataclysm over the course of nearly eight minutes, here peters out in six, with the album's most important line — "I need you so much closer" — rendered flat, repetitive and uneventful. "The Sound of Settling," so zippy on the record, is slowed to a crawl. It's fascinating to take these songs apart in an effort to determine which ideas and production decisions had already formed, just as it is to hear the occasional song ("Passenger Seat," for example) that got left almost entirely as is. It's a little strange to consider Transatlanticism as a kernel of nostalgia; after all, its cultural impact hasn't really receded into the past. Death Cab for Cutie has made terrific records both before and since, even as Gibbard and producer/multi-instrumentalist Chris Walla dabble in solo projects. Heck, for many, the album has been sitting in iTunes the whole time. But that 10th anniversary and this stack of demos make this a fine time to check in with how cleanly and effortlessly Transatlanticism has aged. We should all be so lucky.